I love this time of year. I love the Christmas trees, the twinkling lights, spending time with family, turkey, etc, etc. But what really make me excited are the special limited edition festive pies. Sometimes these are bizarre flavour which wouldn't stand a chance of being served on The Pierate Ship dinner table at any other time of year. But at Christmas the rules of the game seem to change slightly. It provides a great chance to tear open the familiar pastry wrapping paper to find the present of a never before tasted flavour. For a Pierateer there seem to have been particularly rich pickings this year. 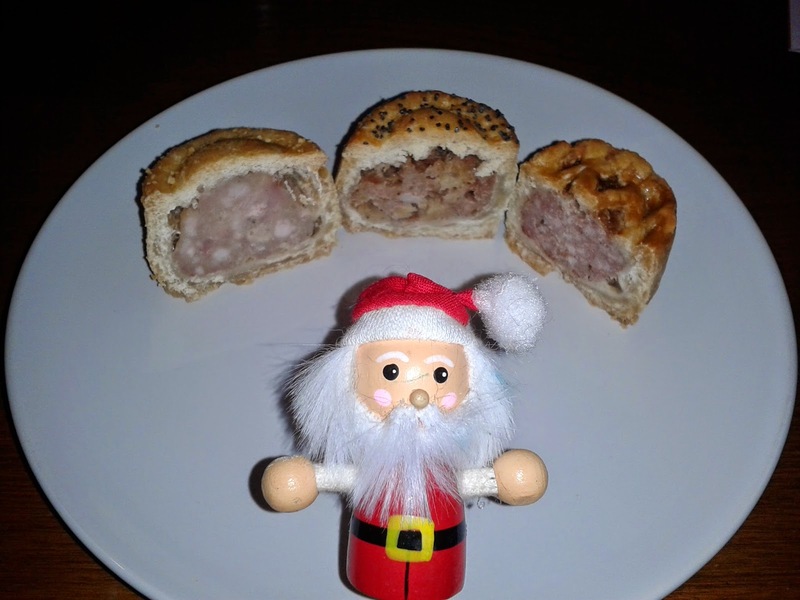 Whilst I feel Morissons have perhaps had more than their fair share of pie reviews (see our list of Morrisons pie reviews), I just couldn't resist when I found no less than FIVE festive pies. But will they leave me wishing it could be Christmas everyday or just a bah humbug? Let's see if Morissons think I have been good this year with a range of mini pork pies, mini meat pies and a winter fruit pie. 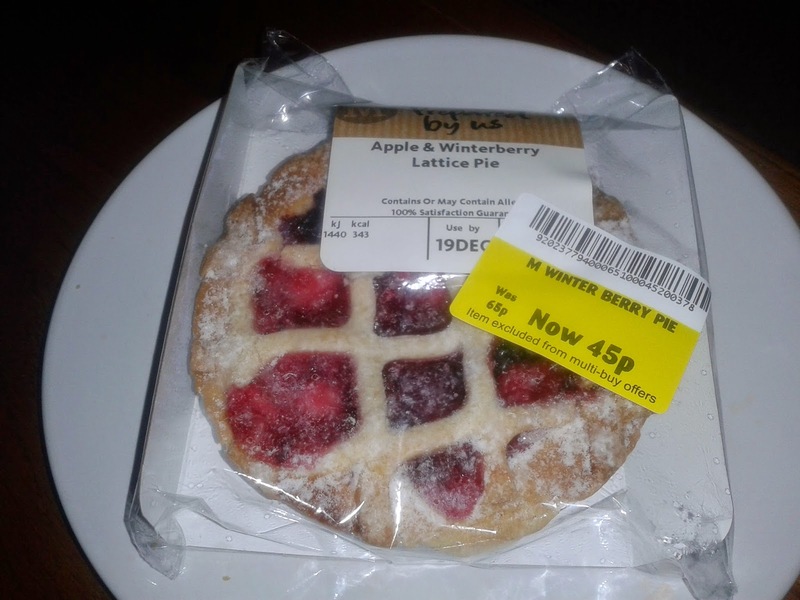 I don't often review lattice topped pies. I have been known to comment that the filling seems a bit 'naked', but hey, it's the season of good will to all pies. Especially when they taste this good. Similar to the individual apple pie reviewed before. 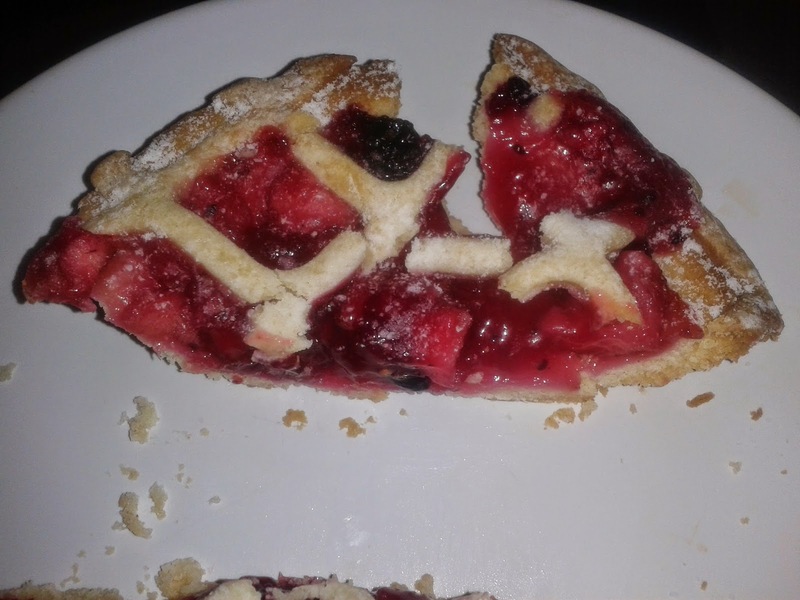 Condition - 5.0 out of 7 - A great looking pie, I forgive and forget the lattice top lid but it fell apart when going for the cross-section which was disappointing. Colour - 6.5 out of 7 - Vibrant reds, a crispy golden brown, dusted with icing sugar like the first snow fall of winter. Cheapness - 5.0 out of 7 - At 65p this is a reasonable price for a desert or snack for one person. Twin pack is cheaper. Capacity - 6.0 out of 7 - Even a flea wouldn't survive very long if it was left to breath only the air in this pie. It was jam packed. Chewiness - 6.5 out of 7 - A triumph of texture. A mix of a crunchy biscuity top crust and soft bottom crust. The fruit was soft but had a bit of bite. The berries had some crunchy seeds which I enjoyed. Content - 6.5 out of 7 - In terms of taste, this is one of the best fruit pies I have eaten. The sweetness of the sugar and apple was counter balanced by the rich and sour flavour of the unidentifiable Winterberries. It didn't get full marks as there could have been more chunks of fruit rather than the fruity jelly padding it out slightly. 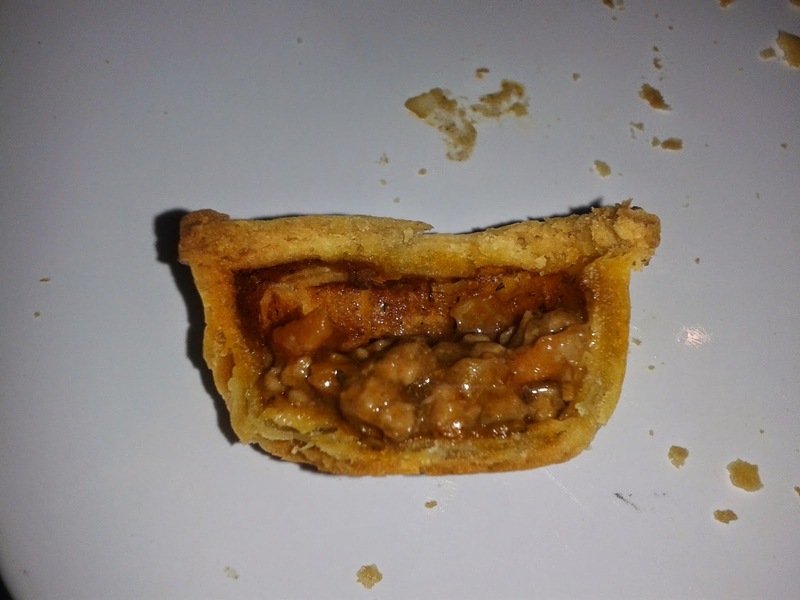 Consistency - 6.7 out of 7 - Worked well as a pastry package, the sweet pastry complementing the filling. Condition - 4.8 out of 7 - Again an unnecessary lattice top which was sneakily hidden behind the packaging. It looked decent despite the unnecessary holes in the top. Colour - 6.1 out of 7 - Amazing glossy brown colours. Filling seemed slightly too pink to me. 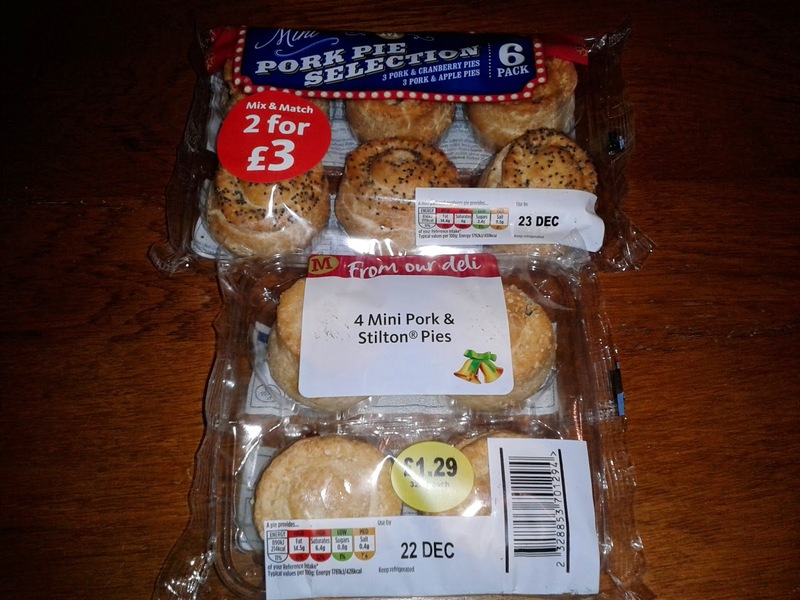 Cheapness - 5.1 out of 7 - £1.89 for a pack of six ain't bad even for mini pies. Capacity - 5.5 out of 7 - For a small pie it fit in a lot. Small gaps for a bit of jelly. Chewiness - 5.1 out of 7 - Not any chewy bits to the filling but it could have been less mushy. There was a good crunch to the pastry. Content - 5.3 out of 7 - For me I found this ideal as there was a subtle amount of the festive berry. If you are a big fan of cranberry you might find it lacking. The tang of the berries made this stand out from the average pork pie. Consistency - 5.4 out of 7 - Different and would work well as part of a Christmas buffet. Condition - 5.5 out of 7 - Topped with poppy seeds, this made it look a little bit better than standard versions. Cheapness - 5.1 out of 7 - Same as cranberry. Capacity - 2.5 out of 7 - Not sure what Morrisons had done here, terrible cross section, it seemed like a species of termite had burrowed holes in the filling leaving lots of gaps. Chewiness - 4.5 out of 7 - Slipped down pretty well. It wasn't dry, like it looked. Content - 6.0 out of 7 - The flavour of this pie blew my mind. Not just a standard pork and apple, it was actually flavoured with CINNAMON! Somehow it worked, in this small dose it wasn't overpowering and gave the pie a refined taste. Condition - 5.1 out of 7 - Dusted with a crumb topping this pie again stood out on appearances. Colour - 4.8 out of 7 - Not quite such a perfect golden brown like the other pork pies. Cheapness - 5.5 out of 7 - At £1.29 it is similar price to the others and good value as Stilton isn't cheap. Capacity - 4.8 out of 7 - The photo looks decent but I found some of the pack had dodgy air gaps. 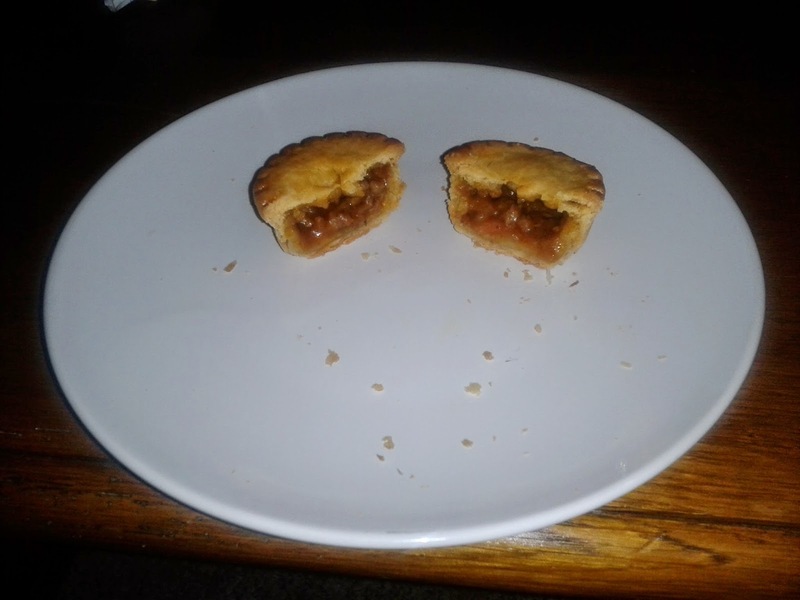 Chewiness - 3.8 out of 7 - Decent performance from the filling although it was a little mushy. The pastry was unfortunately dry and crumbly in places. Content - 6.0 out of 7 - For me this was wonderful, the very small amount of Stilton gave it a rich aroma. The mouldy cheese can often be overpowering, but not here. It may disappoint if you like cheese so much you get tempted to steal it from mouse traps. Consistency - 5.5 out of 7 - Again, whilst this wasn't consistently great, I would get some for a festive feast as it is worth trying. I was very happy to see these mini meat pies which could be eaten hot. There really is a gap in the market for small hot pies. I would say it was a shame these aren't available all year but they are barely worth eating given the lack of filling. Condition - 5.0 out of 7 - These critters actually looked half decent, I might even go as far as to say they looked cute, I don't think I have seen a smaller pie. Colour - 4.8 out of 7 - Good but not special. Cheapness - 2.7 out of 7 - £2.49 for 6, you don't get much for your 41.5p here. These are tiny and lack the value of the pork pies. 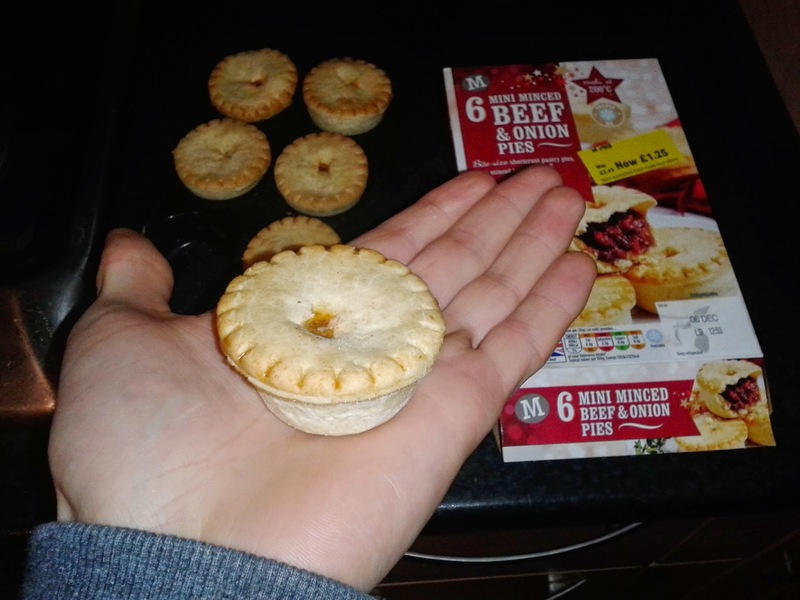 You could almost get one of the pie counter pies for how much these tiny things cost! Capacity - 1.4 out of 7 - Abysmal, these reminded me of the air pie. They were quite tall so could have got a morsel inside but they were all largely empty. Just a smear of filling at the bottom. Content - 4.5 out of 7 - What there was of the filling tasted nice. Pretty standard meat and onion with a bit of carrot. Consistency - 3.5 out of 7 - These didn't taste bad but didn't really work. It was just like eating a fairly average and slightly dry shortcrust on it's own. A mixture of presents in the Morrisons christmas stocking. Most of them I would recommend to try but not necessarily pies I would buy regularly. Perhaps the fact that they are temporary makes them all the more desirable and special.